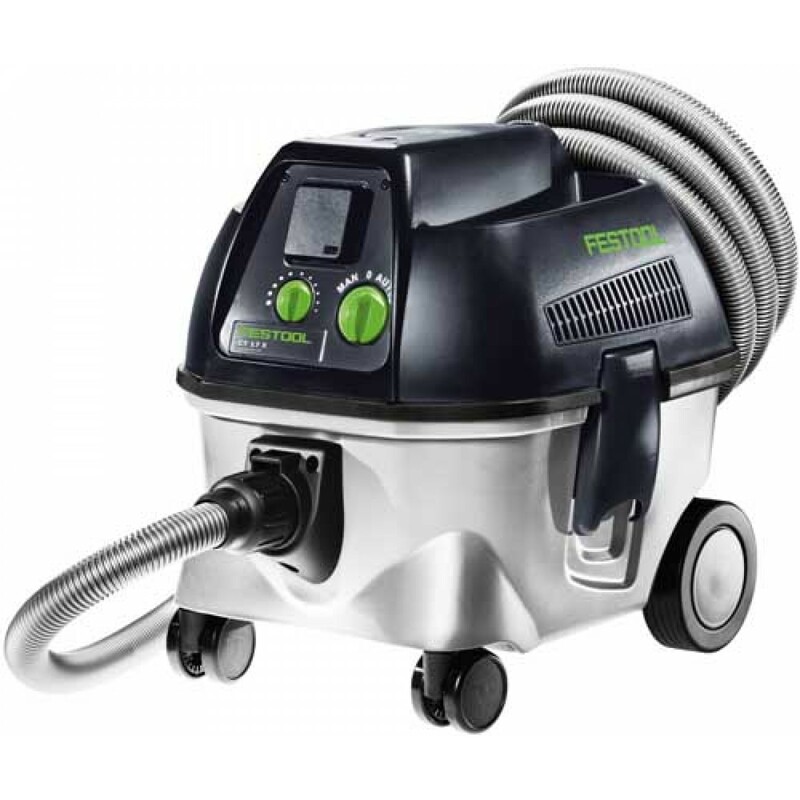 An interesting concept- Festool now have a vacuum that is inside one of their systainers. Makes for an interesting option, especially in space-limited situations, or when needing real portability. 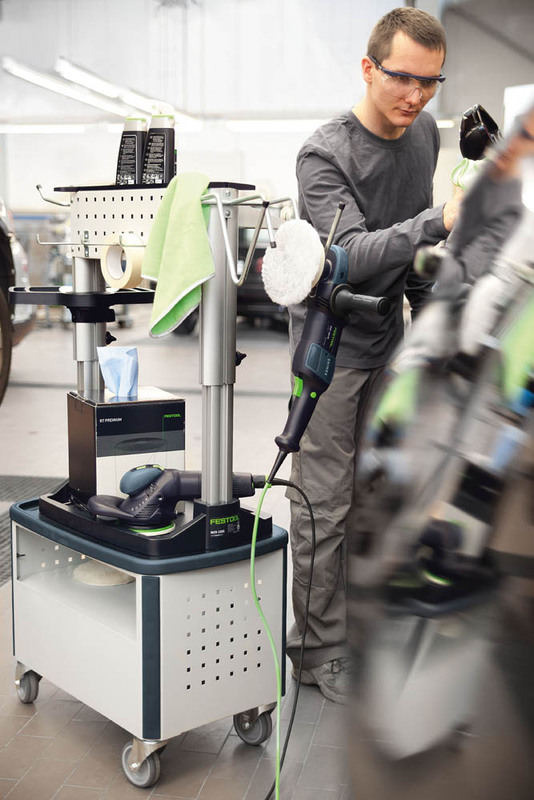 Went along to a Festool evening recently at Total Tools, to see what the latest offerings from Festool were all about. The C18 driver was shown, although I already have the T18, so they seemed pretty similar. What was particularly interesting was the new circular saw. 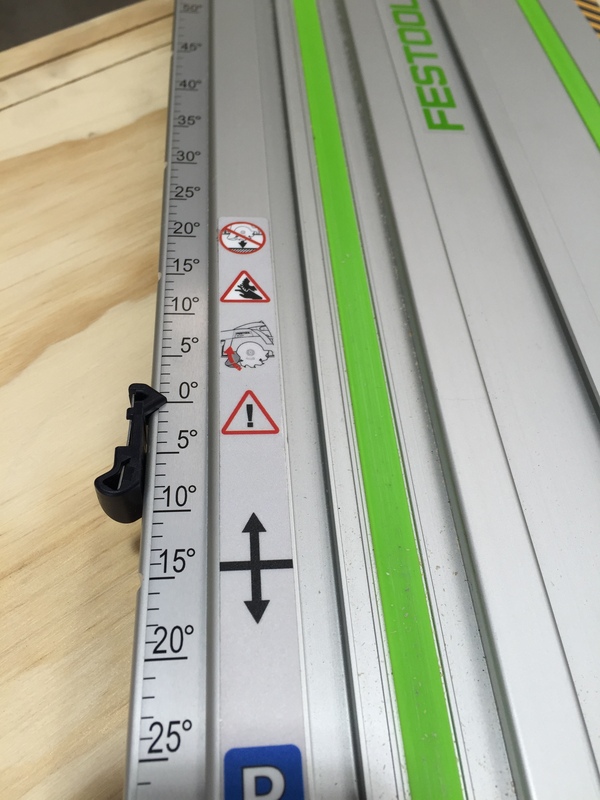 This isn’t a plunge saw as is the norm for Festool, but a much more stock standard CS design. 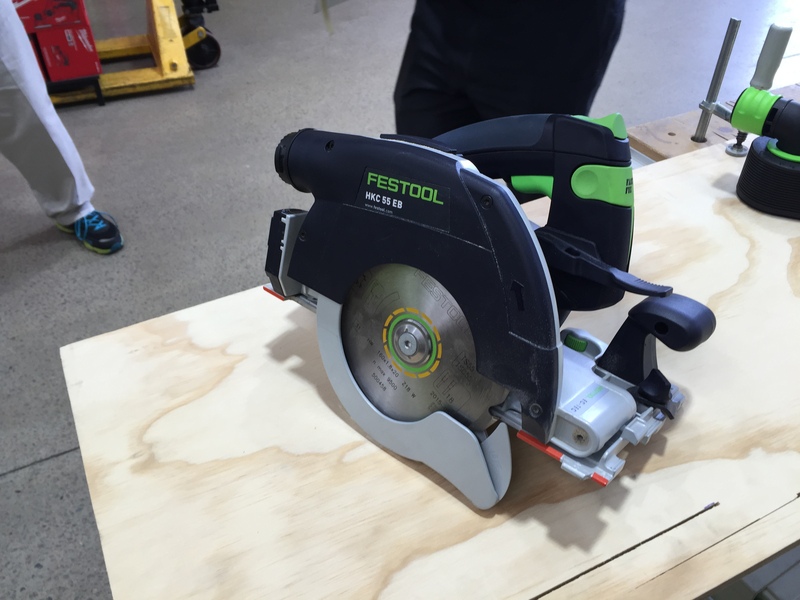 Of course there are still the typical mods that Festool are known for. It is driven by an 18V battery for one. It is the HKC55 160mm cordless circular saw. A quick flick of one latch, and the saw still works as a plunge saw. What really seemed to set this saw apart though is the guide rail. This is not your grandmother’s guide rail. This one locks to the bottom of the HKC55, and effectively becomes a part of the saw. A ‘bungee cord’ mechanism engages with the saw and returns the saw to the start of the rail after a cut. 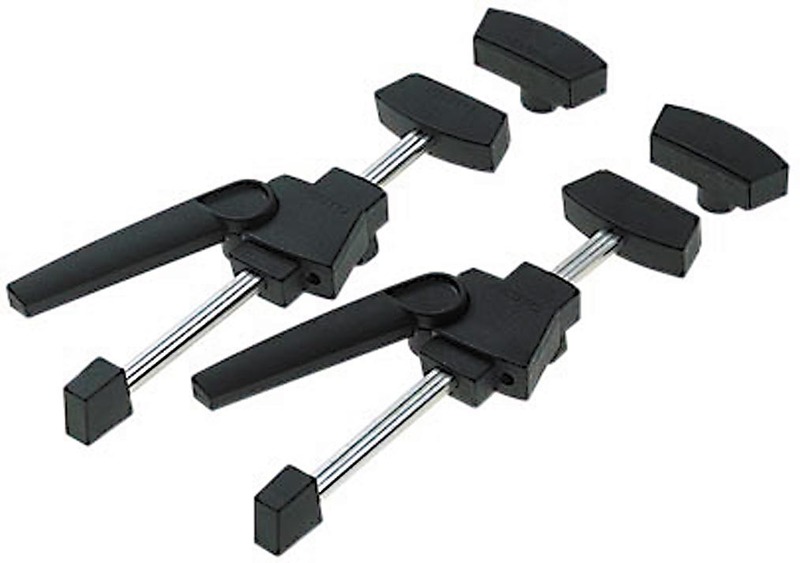 An easy-to-use angle-setting system on the side of the rail makes it very easy to set up for angled cuts, and by angling the saw over, it effectively becomes a portable SCMS, with a long travel distance. Bit hard to show with a few photos. Found this video on Festool UK. Probably better watched with the sound muted! 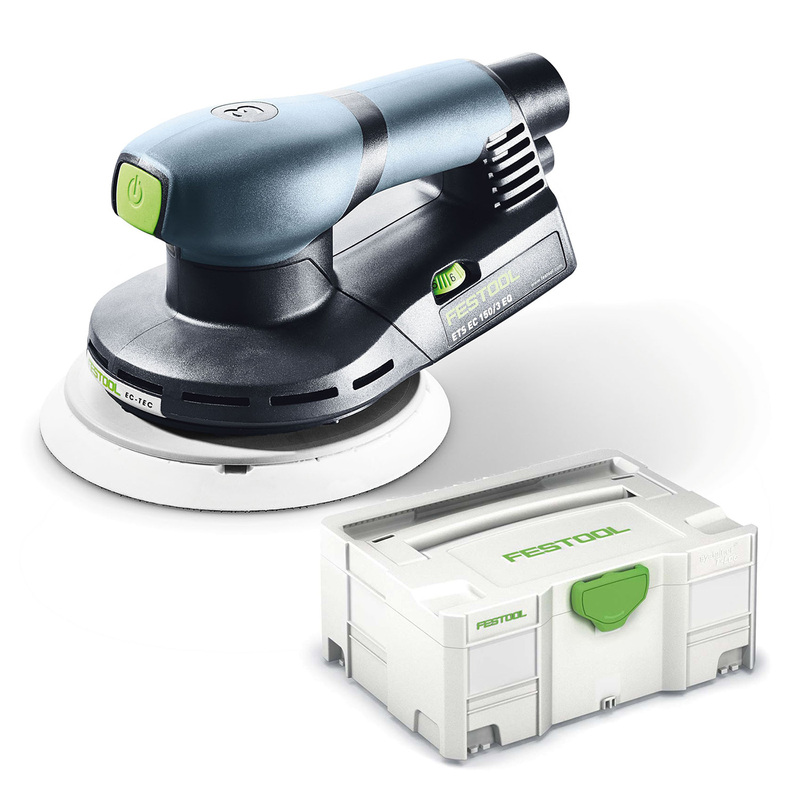 So an interesting evening, getting to look at a couple of the new products from Festool. Interesting too, seeing it with people in the trades, who are quite vocal in expressing what they need to see, and what they don’t in a demo. If it is not a tool they specifically need to use for their job, they have no interest whatsoever, and are quite prepared to express that fact. 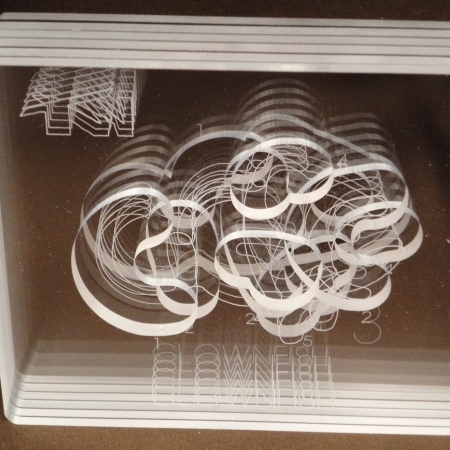 If you actually know what this is, don’t give it away. Google is cheating! For anyone else, what do you think this is? It has a hose connection (and the green ring can move to open up a small vent). There is a rubber seal around the bottom of the tear-drop shape. The individual fins are movable – able to be rotated around the vac port (but are very stiff). The fins are independent of one another – there is a bit of an air gap between them. 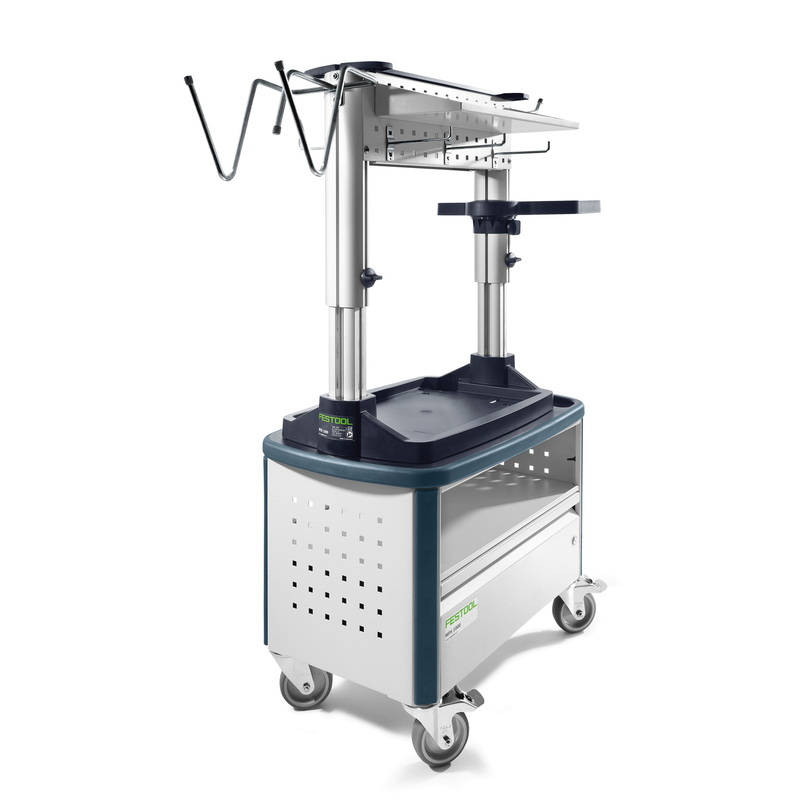 Seems that a few things have come out from Festool recently that I haven’t been across. 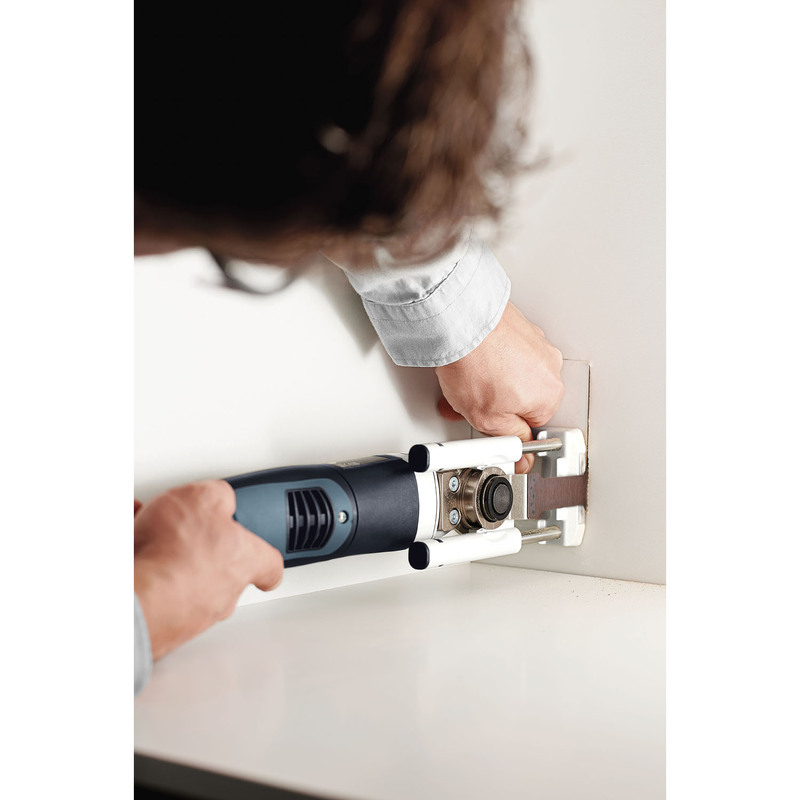 First is a high speed oscillating tool, the Vecturo, akin to the Fein Supercut. 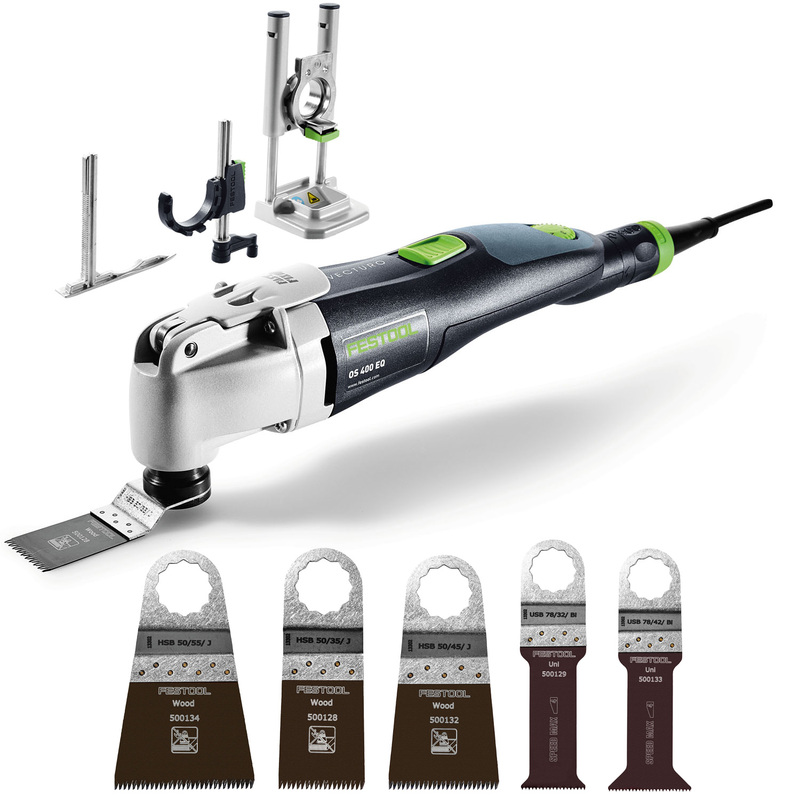 It also has a Festool style price tag, but also includes some interesting developments as well, depth stops and blade stabilising. I haven’t looked into it too far as yet, particularly any side-by-side comparisons with the Fein. One of the interesting things in the photo above, is the plate that the blade is resting against is actually magnetic, keeping the blade from vibrating perpendicularly to the cutting oscillations, helping establish a cleaner entry slot. This also is a depth stop for the blade. There is another depth stop for circular type blades. These can all be removed if you want a more traditional oscillating tool setup. The EC refers to the EC-TEC brushless motor, so it has even more power and runs quieter. At least that would be my expectation if I get to play with one. 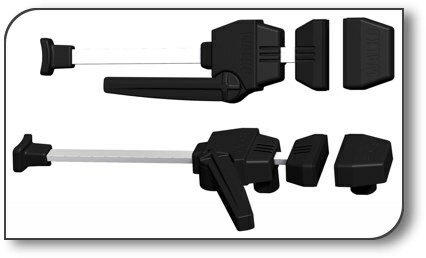 A new version of the dust hose, that includes a plug-it cable. I have the older version, which I find keeps things neat when both powering the tool and extracting dust at the same time. 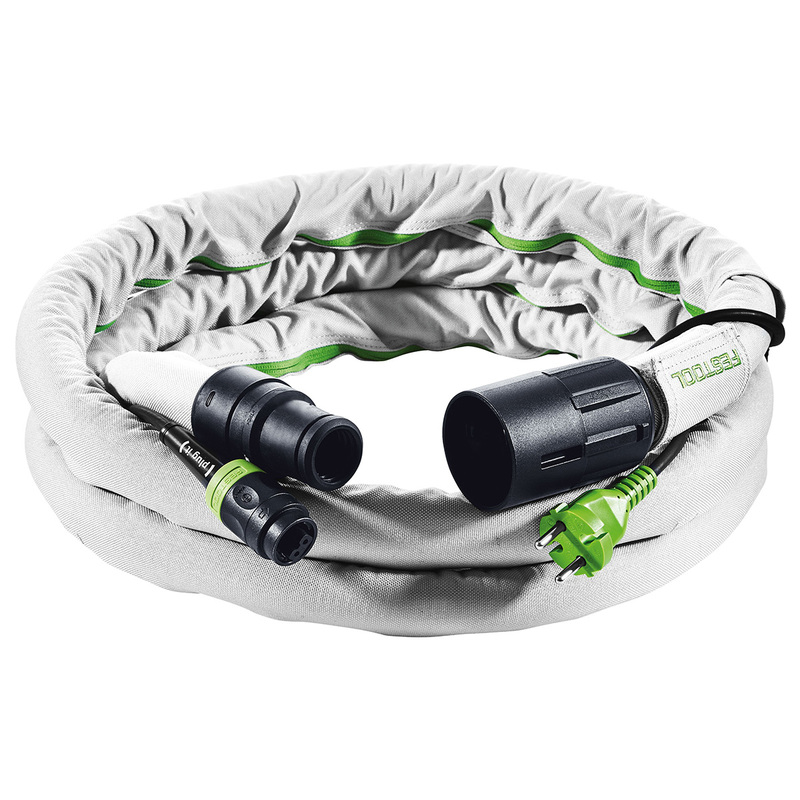 This version also has a material shroud for extra protection of the hose. Interested to know if this helps with tool movement, where the external spiral of the hose can catch edges occasionally. I’m sure the shroud wouldn’t help in the situation where I did damage a hose – doubt the shroud is designed to protect against a few hundred degrees of local heat when my hose got too close to a space heater! Finally, although this isn’t new as such, it is an interesting storage for the various tools. I keep dropping my sander onto the floor when I catch the hose, so the sander storage would be invaluable! And a small CT17 Cleantec, which would be quite handy connected to the Torque CNC (and overall quite a portable extractor). There is another small driver, called the TXS, which is seemingly replacing the CXS. There are always so many new drills and drivers I can’t keep up! 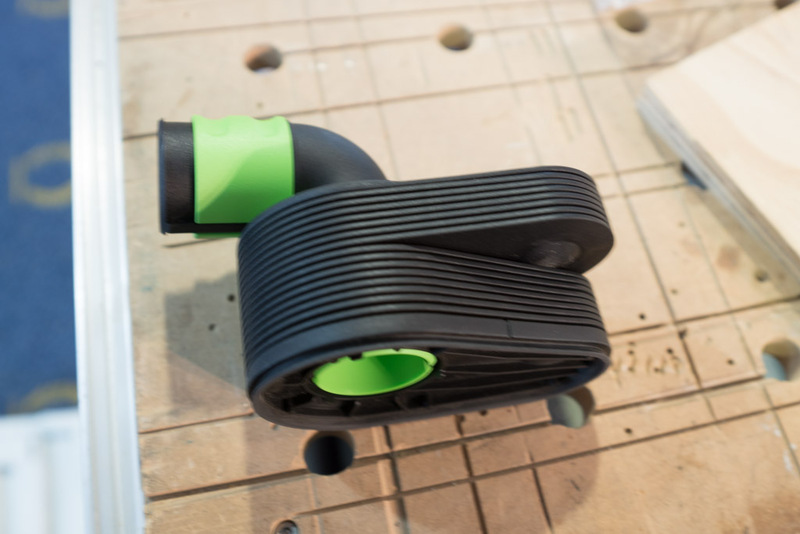 If you are looking for more info on any of the above, have a chat with Anthony over at Ideal Tools – he’s always right across the latest developments in the Festool camp. 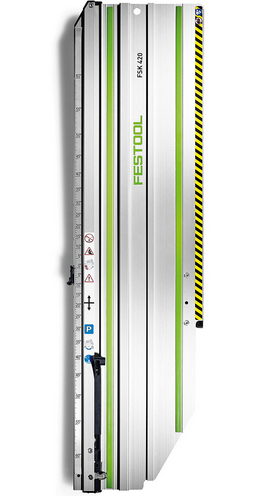 Granted that the Festool is probably a better design, I guess, with a longer reach, the ability to secure it to the table from underneath, and I am sure there are one or two other features over the Walko. However there is one overriding difference. The Festool jams when you try to release it. The Walko doesn’t. After a while, the Festool also doesn’t slide smoothly, whereas the Walkos I have, have been going and going for years without incident. Looking closely at the shaft of the Festool, and it is pitted along its length, dented by the securing mechanism. Sure, I can file these off (and already have a couple of times), but it is an inherent flaw. 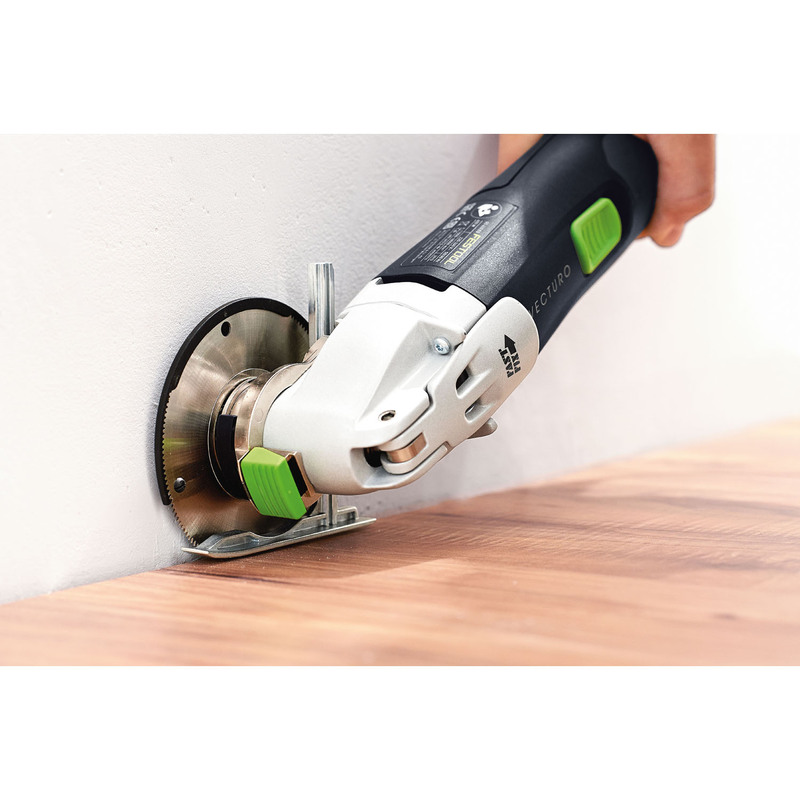 The metal of the shaft of the Festool surface clamp is wrong – it is too soft. Whereas the Walko clamp has got it just right. 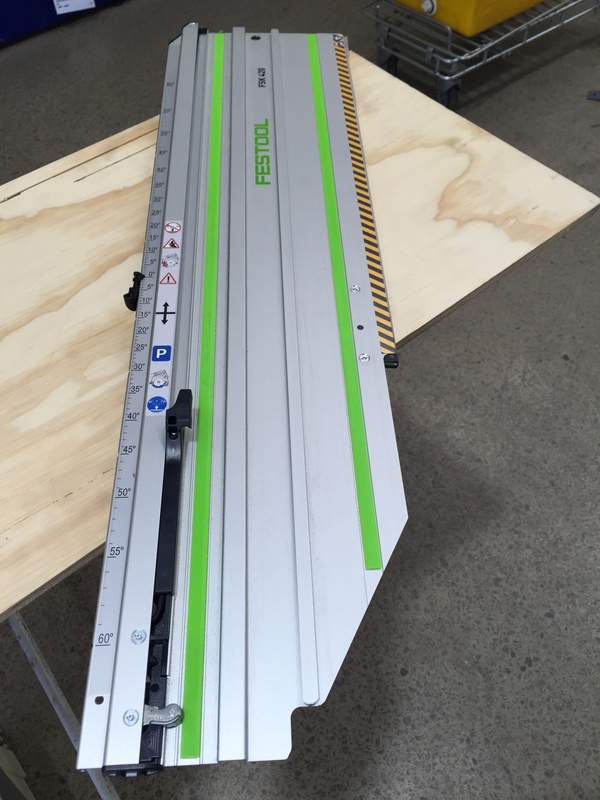 Not often that something is able to out-perform Festool, but in this case, something has! 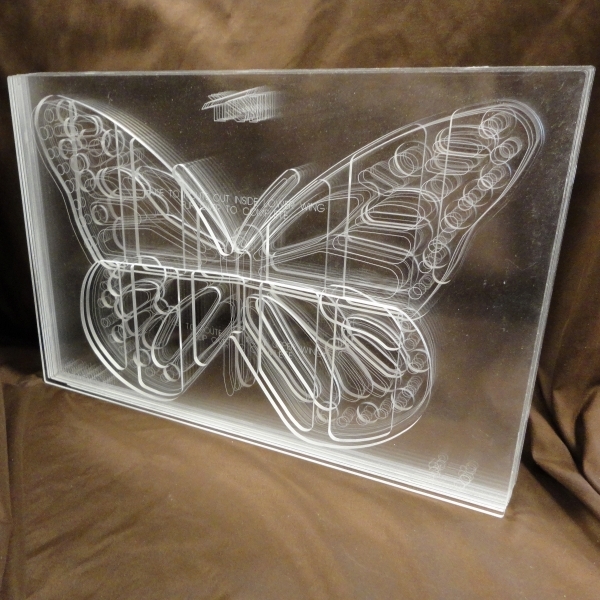 I first came across the concept of template inlays back when I was working on a poker table concept, back in 2009. This was a pretty basic form – a simple shape and a contrasting piece of timber. 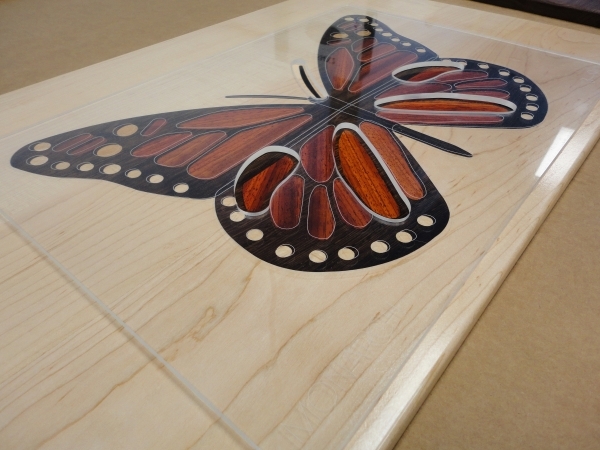 Over at Tarter Woodworking, the concept of template inlays has been taken to a logical conclusion – using multiple templates (and the use of different timbers) to create stunning inlay results. which happens to be one of the smaller templates, but is one of my favourites. 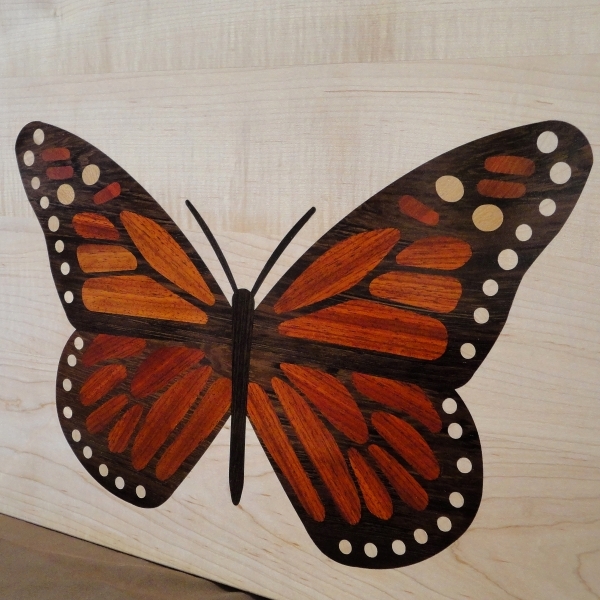 It is not painted on – it is multiple timbers routed and inlaid. Bit of a confession however – I have a few templates here, begging to me to try them out and I haven’t (yet)! I went to do so last weekend, then discovered a slight problem. Having replaced my Triton handheld routers with a Festool, I didn’t have the adapter to fit the Porter Cable-style template guide rings! That I rectified first thing Monday morning, so I am ready to go as soon as I find a couple of minutes to rub together. 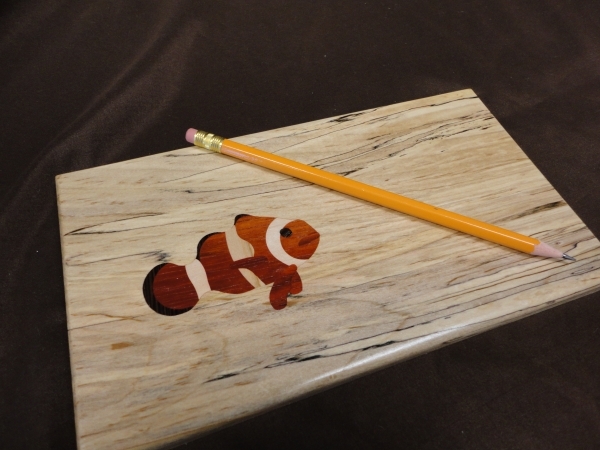 Think I will probably tackle the clownfish first, but then, there is the Monarch butterfly to try. That will take a good assortment of timbers to make the design come to life. So looking forward to trying these out for myself – this weekend if all goes to plan (and I find my shed again under the mountain of mess and sawdust from last weekend’s rush build)!